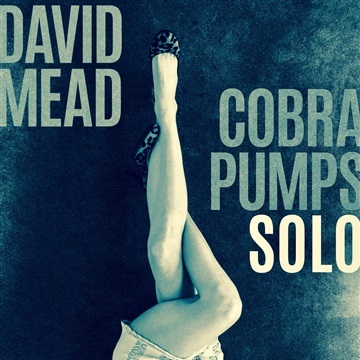 After signing to RCA in 1998, David Mead a pair of critically-acclaimed records, The Luxury of Time and Mine and Yours. Honing a songwriting gift that embraces elements of Broadway, The Beatles, Prog and New Wave, Mead has since continued to release albums (Indiana, Wherever You Are, Tangerine, Almost and Always) full of “infectious melodies” (The Guardian) sung in a voice “honeyed and compelling” (Entertainment Weekly) while touring relentlessly over five continents, sharing the stage with the likes of Fountains of Wayne, Joe Jackson and Shelby Lynne. His music has enjoyed exposure in television and film, as well as praise from some unexpected admirers: “David Mead is one of my favorite singer-songwriters,” said John Mayer, and Taylor Swift recently covered his song “Nashville” in concert. 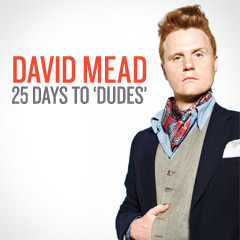 In 2011, Mead’s fans rallied around him and raised over $20,000 to fund the recording of his new album, Dudes, a work of pure pleasure filled with humor, mystery, and emotional wallop.